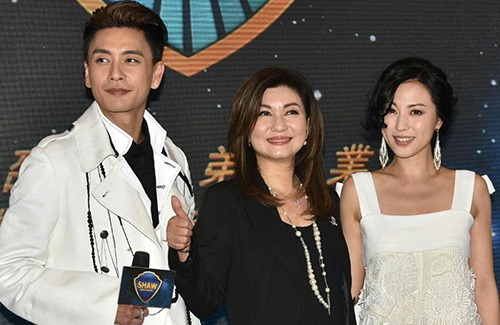 Bosco Wong (黃宗澤) has officially signed with Shaw Brothers, TVB’s movie studios. This marks the ending of his TVB management contract, which lasted nearly 18 years. During the 2017 Hong Kong International Film and TV Market, also known as FILMART, Shaw Brothers held a press conference to celebrate the signing of its new artistes, which includes Annie Liu (劉心悠), Susanna Kwan (關菊英), and Hugo Ng (吳岱融) in addition to Bosco. The signing ceremony was witnessed by TVB and Shaw Brothers executive Virginia Lok (樂易玲). Bosco will be establishing his own production studio under Shaw Brothers as well, and is the second artiste to do so after Wong Cho-lam (王祖藍), who established his studio in 2016. 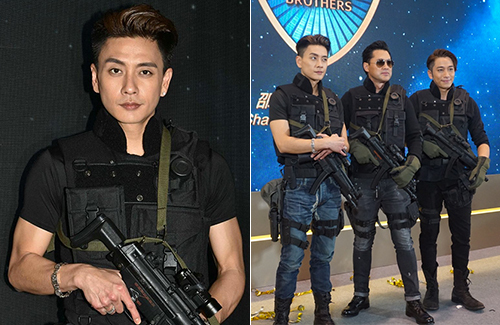 The 36-year-old actor’s first project with Shaw Brothers will be Flying Tiger <飛虎極戰>, a television drama about Hong Kong’s Special Duties Unit. It is co-produced by Youku, and also stars Michael Wong (王敏德), Michael Miu (苗僑偉), Joe Ma (馬德鐘), Ron Ng (吳卓羲), and Hugo Ng. The cast of Flying Tiger appeared in army gear right after Bosco’s signing ceremony. Commenting that Virginia Lok has an interest in pushing his studio to become a listed company, Bosco said, “This is why she gives me so much stress! She said it so nonchalantly. In our meeting, we talked about at least 10 different projects. There’s only one life, and one of me. It’s too much work for me to handle!” (Interested in signing other people under your wing like Cho-lam?) “I’m interested, but I need to take care of my own things first.” Bosco added that he’s interested in investing in other projects, but would have to be very careful with his selections. Bosco is currently shooting TVB’s Heart and Greed <溏心風暴3>. He will begin work on Flying Tiger in mid-May. The action drama is Bosco and Ron’s first television collaboration in over ten years. Why, Annie Liu, why? She had such a bright future in the mainland and decided to sign with TVB/Shaw of all places?! Good for them..maybe this is a more flexible contract unlike tvb not flexible to go over mainland market.